Wooden toys and games remind us of a bygone era. Today, when we walk into a toy store or the toy department at our local mass retailer, the big toy manufacturers inundate us with brightly colored boxes displaying plastic toys. For those of us who grew up in the second half of the twentieth century, plastic toys beckoned to us from exciting commercials, and most parents tried their hardest to give us the latest and greatest on birthdays and holidays. However, now is the time to seriously consider making the switch to eco-friendly wooden toys. Following are ten benefits of wooden toys and games. Even babies love the outdoors. Nature, including the beauty of trees, is a vital component to the growing minds of children. Wooden toys bring the familiar inside. Children understand wood. They’ve felt it with their fingertips outside, and bringing this feeling inside, with organic wooden toys and games, is comforting to children. When taking wooden toys into consideration, it’s important to remember that there really is an abundance of these toys available, from simple wooden animals to majestic castles, and even kitchens in which tomorrow’s great chefs can hone their skills. Wooden games range from the already popular Jenga to amazingly complex puzzles. In recent decades, it may have been challenging to find wooden toys and wooden games, but today, with the Internet, searching for these items couldn’t be easier. Wooden toys are usually sturdy. Most of us remember the snapping sound as plastic toys broke during the course of a year. In general, it’s harder to break wooden toys by stepping on them or applying force. Wooden toys and games, especially for younger children, usually feature smooth, rounded edges. Wooden toys can last for years, and many can last for generations. Even if the finish on these toys gets a little worse for the wear over the years, methods for refurbishing them yourself with non-toxic materials are readily available. With wooden toys, it’s much easier to find non-toxic products. Many of the creators of these toys are very forthcoming about the paints and finishes they use to give their toys a unique pizazz. There is also a trend among many wooden toy builders to create toys that stay with natural wood finishes as they strive to create truly organic toys. 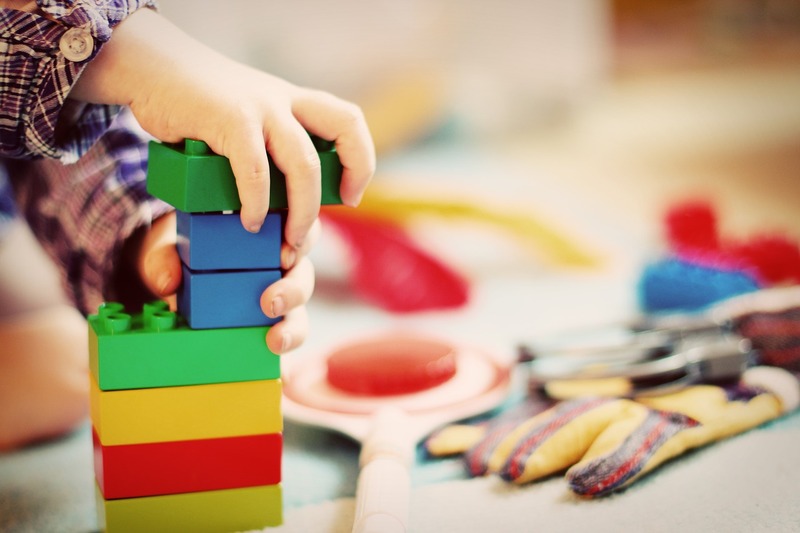 As wooden toys are made to suit children of all ages with it’s bigger parts and broad-reaching themes, children have the freedom to project their own creativity. This gives parents a fantastic opportunity to play with their children, model creative thinking, and encourage their children’s own creativity. Wooden toys don’t make it into landfills nearly as often as their plastic counterparts. These eco-friendly toys are not only durable, but they also are not driven by rampant commercialism or fads. Wood recycling (which is the same as paper recycling) is readily available in most communities. Because wooden toys are much less likely to break, and in general, are not built with small pieces, parents and caregivers can rest easier. As with any toy or item you give your youngster, check wooden toys carefully for broken or loose parts. Many wooden toys are works of art. If you’re looking for a way to create a one-of-a-kind nursery or child’s room, these toys can be a charming element. They also make a funky and engaging addition to family spaces as well. Looking for ways to support local artisans? There are larger companies that manufacture and sell wooden toys, which is fantastic, but make sure to visit your local and regional craft fairs and shows. Most woodworkers are more than happy to tell you about their materials and processes. What a great way to encourage local craftsman to keep creating beautiful toys and games.